+$The famous Nike Swoosh is only part of an effective piece of branding. Accompanying it is a tagline that's so memorable it probably comes to mind when you look at the logo. 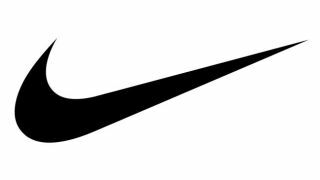 In fact the tagline is so successful, a recent survey revealed that 'Just Do It' is the most memorable brand slogan for consumers. +$In a survey by design agency+$Sparkloop+$, out of a sample of 1,000 participants aged between 18 and 65, nearly half of respondents (44.65 per cent) were able to recall the slogan on the spot. Pipped to the post were Tesco's and McDonald's taglines: 'Every Little Helps' and 'I'm Loving It'. +$The news comes at a good time for Nike, which recently debuted its new ad celebrating trailblazing female athletes at the Oscars. Complete with narration from Serena Williams, it makes for powerful watching. Check it out below. +$Strong graphics are usually the focus of brand perception. Recently we even looked at+$companies who dropped text from their logos entirely+$. However, this survey reveals that a good tagline and creative copy are just as important when it comes to forming a connection with customers. +$"The survey results are extremely interesting and highlight the importance of a holistic approach to creating a brand," says managing director of Sparkloop, Gayle Carpenter. +$"So many businesses focus on both the brand name and logo, whilst forgetting about the importance of refining product or service, and how this is promoted or positioned successfully through brand culture, values and their communications." +$"Successful brands, like Nike, have something very much in common. Although they initially focus on their product or service, they work hard to create a brand movement, attracting a key demographic, who believes in the brand’s values, culture and communications."